This delicious Black bean and Sweet Potato Hotpot with Cornbread Topping is one of the most popular vegan hot dishes in our deli at Blazing Salads in April. It is really nutritious due to the combination of beans grain and vegetables. Impress your friends with this! 1. Wash the black beans and soak overnight or for 6-8 hours in cold water. 2. Pour off the soaking liquid, place in a pot with plenty of cold water and a piece of kombu seaweed. Bring to a boil, lower the heat and simmer for 1 hour or until the beans are soft. Drain and set aside. 3. Saute the chopped red onion in a little cold pressed oil over a medium heat for 2 minutes. Add the garlic and stir for 1 minute. Add the celery and sauté for a further minute. 4. Add the sweet potato, tomato and 2 tins of water (750mls) to the pot. Stir in a good pinch of salt, and the ground cumin and smoked paprika. Put a lid on top, bring to a boil, lower the heat and simmer for 15 minutes. 5. Stir in the cooked black beans and 1 tablespoon of tomato puree. Season with sea salt if needed. 6. Pour the mix into a 23cm lasagne dish. 1. Heat the oven Gas 4,180C, 350F. 2. If using sunflower margarine place in the oven to melt. In a large bowl pour in the cornmeal, spelt flour, pinch of salt, baking powder and mix together. 3. Mix the coconut milk, maple syrup and rice vinegar together. 4. Whisk into the flours until well combined. Stir in the sweet corn. If using fresh coriander stir in also. 5. With a spoon drop the cornbread batter on top of the bean and sweet potato. Spread out to the edges of the dish. If using chilli flakes sprinkle on top. Place in the centre of a preheated oven until set and lightly golden on the top. *As an easier option black beans are available already cooked in tins. Use 550g of rinsed drained tinned beans. *Kombu seaweed is a member of the kelp family. It carries toxic and radioactive waste from the body and promotes the growth of hair and a clear complexion. Use in the cooking of beans as it helps soften them and make them more digestible. They are from a family who are passionate about wholefoods. Their parents opened ‘The Golden Dawn’ a macrobiotic wholefoods centre in Dublin in the 1970’s. Following on from that in 1982 Blazing Salads Restaurant was opened . As revolutionary as it was at the time, this kind of cooking has become part and parcel of what it is to eat well today. 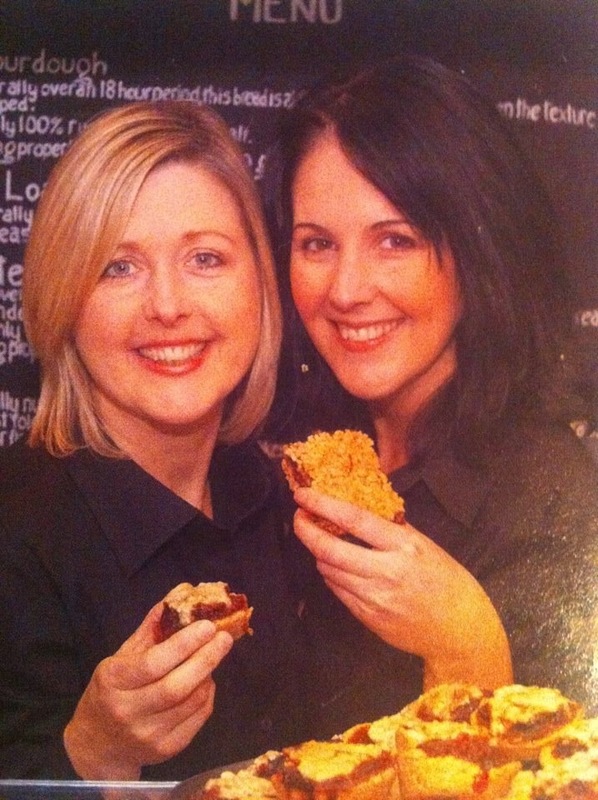 With over 3 decades of preparing and cooking great food, winning awards for their innovation, publishing 2 very successful cookbooks Lorraine and Pamela are known to be the frontrunners in vegan/wholefoods in Ireland . Their brother Joe has gone on to open the award winning Riot Rye Bakehouse and Bread School in Cloughjordan Co Tipperary. www.riotrye.ie He is also a founding member of Real Bread Ireland.